The engraver and printmaker Giovanni Battista Falda, who turned his artistic talent into commercial success as 17th century Rome welcomed the first waves of Europe’s Grand Tourists, was born on this day in 1643 in Valduggia in Piedmont. 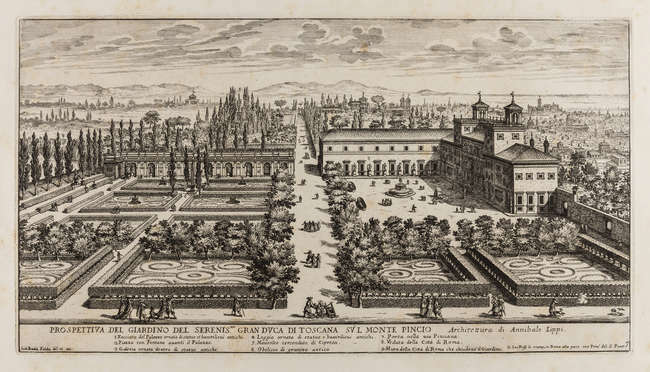 Falda created engravings depicting the great buildings, gardens and fountains of Rome, as well as maps and representations of ceremonial events, which soon became popular with visitors keen to take back pictorial souvenirs of their stay, to remind them of what they had seen and to show their friends. He took commissions to make illustrations of favourite views and of specific buildings and squares, and because the early Grand Tourists were mainly young men from wealthy families in Britain and other parts of Europe he was able to charge premium prices. Falda showed artistic talent at an early age and was apprenticed to the painter Francesco Ferrari as a child, before moving to Rome when he was 14 to be mentored by Gian Lorenzo Bernini, the sculptor and architect who had such a huge influence on the look of Rome. His early draughtsmanship caught the eye of the printmaker and publisher Giovan Giacomo De Rossi, who took Falda on as an apprentice at his print shop. The De Rossi family were the principal publishers of prints in Rome during the 17th century, and almost all of Falda’s work was published by them. Falda was taught all the technical skills of engraving and etching, while also perfecting his own style of drawing, which was focused on realistic representation of his subjects. He made the acquaintance of emerging figures of the Roman art world, such as Francesco Borromini and Pietro da Cortona, and when he finished his training at the age of 20 began a career as a printmaker. 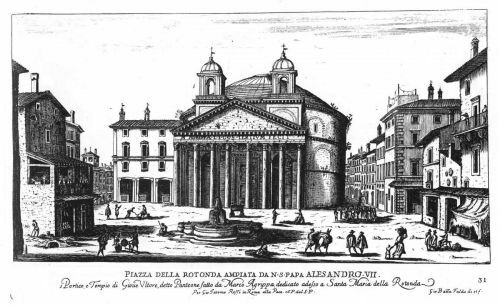 His specialisation was the urban landscape of Rome, and he is best known for his vedute - views - of architecture throughout the city, especially the renovation projects backed by Pope Alexander VII. 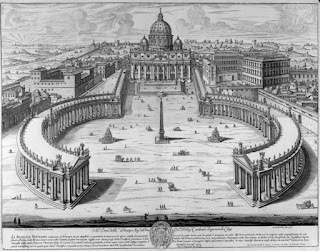 In 1665, the De Rossi printshop published a book of prints by Falda depicting views of the construction and restoration projects sponsored by the Pope. Gardens and fountains interested Falda in particular. 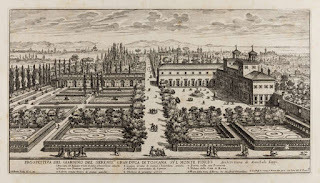 Two of his most famous series collected in book form are Giardini di Roma (1670) and Fontane di Roma (1675). Falda was a significant influence on the work of later Roman printmakers, such as Giovanni Francesco Ventunni, Alessandro Specchi, and Giuseppe Vasi. With more than 300 architectural views attributed to him, Falda also had much to do with Rome’s renown in the 17th century for the veduta as a genre and helped change the perception of the city, shifting the focus away from its ancient history and underlining its new status as a modern, progressive and expanding metropolis. 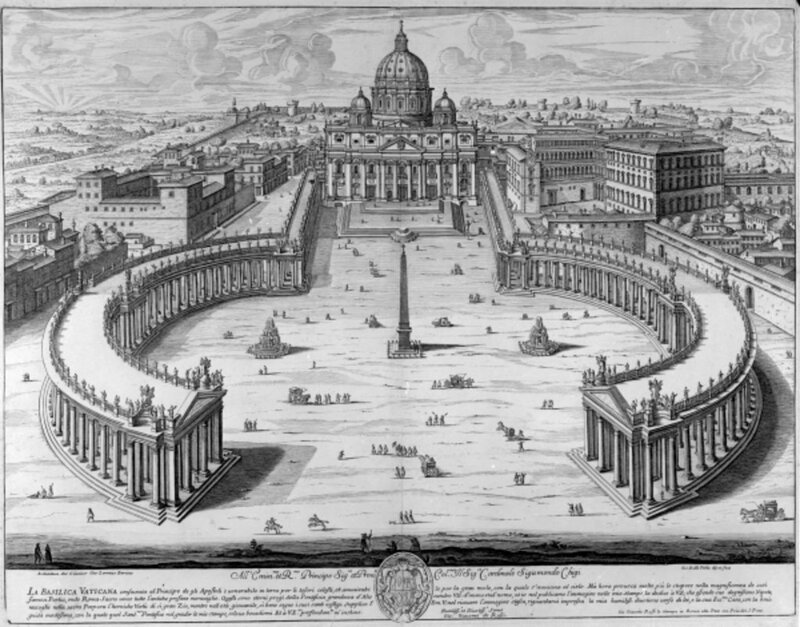 In 1676, he produced a 12-sheet map of Rome depicting the city in minute detail at the height of its Baroque splendor. The first of the Grand Tourists, who arrived in Rome in the mid-17th century, bought so much of Falda’s work that he soon grew prosperous, although he did not live long to enjoy his wealth. He passed away at the age of just 34 in 1678. Today, his works are still collectible. When they come up at auction, they usually sell for between £2,500 and £3,500 (€2,800 - €3,900), although some have realised up to £20,000 (€22,500). Gian Lorenzo Bernini, who was born in 1598 and lived for more than 81 years, is the architect and sculptor behind many of Rome’s most famous landmarks, particular the fountains that Giovanni Battista Falda depicted with such success in his engravings. The Fontana della Barcaccia in Piazza di Spagna, the Fontana del Tritone in Piazza Barberini, and the Fontana dei Quattro Fiumi and Fontana del Moro in Piazza Navona are all by Bernini, although he is more famous even for his work at St Peter’s Basilica, which included numerous beautiful sculptures within the church and the architectural masterpiece that is Piazza San Pietro - St Peter’s Square - with its majestic sweep of statue-topped colonnades. Valduggia, the small town in northern Piedmont where Falda was born, is just 15km (9 miles) from Lago di Orta, a smaller and less well known lake than Maggiore, Como, Garda and Iseo, yet one that is no less beautiful and has the benefit of being less crowded than its more high-profile neighbours. 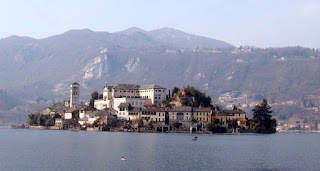 The small town of Orta San Giulio, at the south-eastern edge of the lake, is the most important town on the shores of Lake Orta, boasting an attractive historical centre with narrow cobbled streets and many bars and ice cream shops. 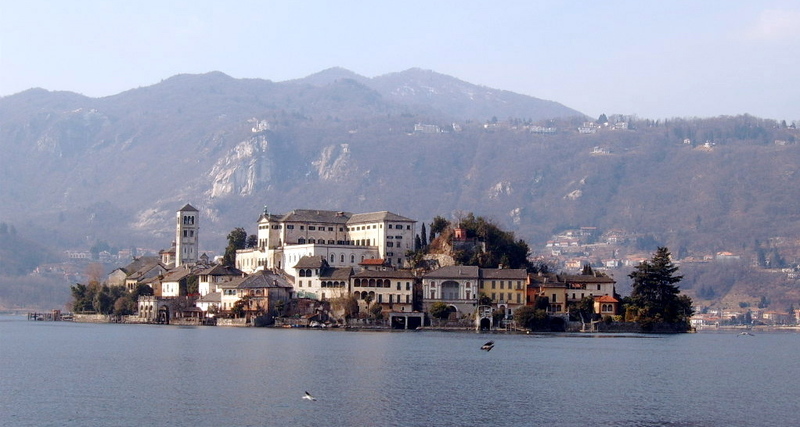 Boats leave the harbour to cross to Isola San Giulio, the charming island in the centre of the lake where visitors can find the ruins of a 12th century basilica and follow a path that follows the circumference of the island.